A financial fraud case involving funds embezzled from the Ute Mountain Ute tribe continues to grow as three additional people pleaded guilty this week. A fraud case on the Ute Mountain Ute tribe continues to expand, and now totals more than $1.1 million in embezzled and stolen funds involving 11 people. On April 30 in U.S. District Court in Durango, three additional people pleaded guilty to charges involving funds embezzled from the tribe, the U.S. attorney’s office said Tuesday. Gloria Lee, also known as Gloria Rouillard and Gloria Lopez, pleaded guilty to one count of embezzlement from tribal funds and one count of money laundering, with restitution of $1.14 million.Colindra House pleaded guilty to one count of financial fraud with a proposed restitution of $52,401.Freana Bancroft pleaded guilty to one count of financial fraud with restitution of $109,820.Restitution amounts owed are pending sentencing, according to the U.S. attorney’s office. According to the plea agreement filed in District Court, Lee orchestrated the scheme from her position as Utilities Account program director within the tribe’s Financial Services Department. Her restitution of $1.14 million combines the amount of funds she and other defendants who pleaded guilty obtained. The guilty defendants are liable for their own restitution, but if not all of it is paid, Lee is also liable because of her pivotal role in the scam. 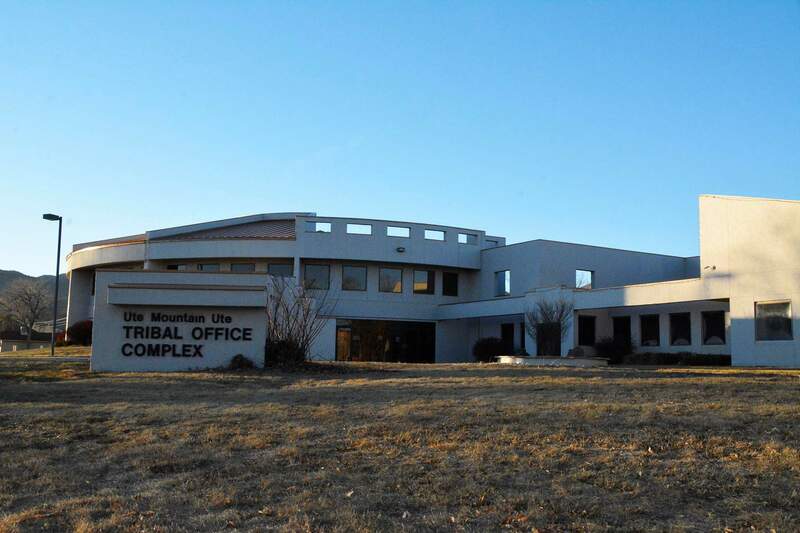 Those involved in the scam who worked in the tribe’s finance department were terminated, said Peter Ortego, general counsel for the Ute Mountain Ute tribe. According to court records, those who have pleaded guilty in the case have been denied tribal benefits. So far, 11 people, many who are tribal members, have pleaded guilty in the fraud case, which now totals $1.1 million in tribal funds. The case was investigated by the FBI and the Internal Revenue Service and was prosecuted by Assistant U.S. Attorney Pegeen D. Rhyne. In January, seven people were charged with financial crimes, and $17,599 was reported stolen. In February, eight defendants pleaded guilty, and a total of $793,000 was reported stolen. The elaborate fraud scheme involved employees of the tribe’s Financial Services Department who fraudulently dispersed checks written to people they selected, including nontribal members and prison inmates, according to court documents. Those who received the checks cashed them, then usually shared the cash with the Financial Services employee who provided the check, according to case records. Between 2011 and 2015, finance employees took advantage of tribal programs intended to help community members. One program allowed tribal members to draw $1,200 to $1,500 per year to help pay for utilities. Another program set up family accounts for tribal members from the time they were children. At age 18, tribal members can begin spending the funds, which with interest typically reached $10,000. The funds could be used to purchase things such as vehicles, home furnishings and computers. In each program, tribal members were required to submit bills and invoices to receive payment for utilities or from the family plan account. Initially, the fraudulent checks were falsely attributed to the utility benefits or family plan accounts of tribal members who did not request or receive the fraudulent checks. Later, the fraudulent checks were generated without being attributed to any tribal member. Several of the people who received the fraudulent checks were not tribal members and were not entitled to tribal benefits. In other instances, the Financial Services Department employees caused embezzled tribal funds to be sent via Western Union to recipients who would then provide a portion of the money to the employee who sent the wire. In some instances, embezzled tribal funds were wired to inmates with the Federal Bureau of Prisons who were not Ute Mountain Ute tribal members or entitled to tribal funds. Court documents said more than one financial department employee was involved in the scheme, including Oraleigh Jaramillo. The criminal investigation began in 2016 after a financial audit of the tribe. In federal financial fraud cases, an asset forfeiture division seizes items purchased with the stolen money. The recovered equity is then used to reimburse the victim. A conviction for embezzling an Indian tribe receiving federal funds carries a penalty of not more than 10 years imprisonment, three years supervised release and a fine of up to $250,000. A conviction of money laundering carries a penalty of not more than 20 years imprisonment, three years of supervised release and a fine up to $500,000. A conviction of fraudulently receiving funds belonging to an Indian tribal organization carries a penalty of not more than five years of imprisonment, three years of supervised release and a fine of not more than $250,000.